This is the band’s debut album, originally released on CD in 2001. For the first time now available on vinyl. Limited, one time pressing. 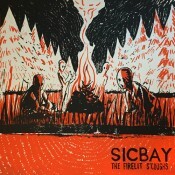 Hand screen printed covers illustrated by Josh Mead. Available January 29th.